It is a milestone year for Ngā Kupu Ora 2011, the third Māori Book Awards. For the first time the awards will celebrate a winner for fiction, and a book written completely in te reo has taken out the Te Reo Māori category. 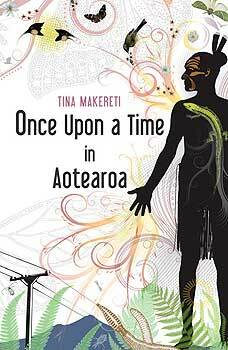 Tina Makereti has won the first-ever Fiction award for Once Upon a Time in Aotearoa, a book of short stories that puts traditional Māori myths and legends into a contemporary context. Makereti is thrilled to be recognised for her first book. Awards judge and Massey University senior lecturer Spencer Lilley says it was particularly satisfying to have a Fiction category because, in previous years, there had been a shortage of Māori fiction published for sophisticated readers. The calibre of this year’s te reo Māori finalists also impressed the judges. 2011 is the first year that the winning book has been written completely in te reo, reflecting the growing diversity of books published in the Māori language. The Te Reo Māori category also produced the competition’s first e-book finalist. 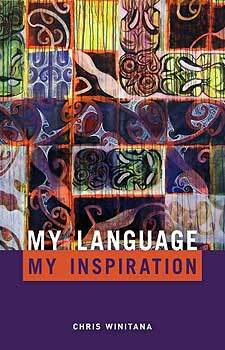 Chris Winitana won the Te Reo Māori award for Tōku reo, Tōku Ohooho (My Language, My Inspiration), a book about the revitalisation of the Māori language that has also been published in English. Three further books were also recognised by the judging panel. The head of Massey University’s School of Māori Studies, Robert Jahnke, won the Arts category with Tirohanga o Mua: Looking Back; the Biography award was won by Joseph Pere for Wiremu Pere; and Te Taiao: Māori and the Natural World, published by Te Ara Encyclopedia of New Zealand, won the Non-Fiction award. The judges congratulated the 2011 winners on the quality of their work, and for their contribution to Māori knowledge. “In addition to excellent content and production, each of the winning books advanced our knowledge and understanding in new and different ways,” they said in their judge’s statement. This year’s ceremony will also include a special award for Mana Magazine, which published its 100th issue in May 2011. The award is to acknowledge Mana’s role in encouraging Māori literature, and to celebrate a milestone in Māori publishing. Mana editor Derek Fox says he was very surprised, but proud, that Massey had decided to honour his magazine. He also sees parallels between the objectives of the Ngā Kupu Ora Awards and his own publication. The Ngā Kupu Ora Māori Book Awards were established in 2009 by Massey University to mark Māori Language Week and to celebrate and encourage excellence in Māori publishing. At that time, it was felt that Māori books were being overlooked by mainstream competitions. The awards for this year’s winners will be presented on November 29, 2011 at a ceremony at Te Pūtahi-a-toi, Massey University’s School of Māori Studies in Palmerston North.